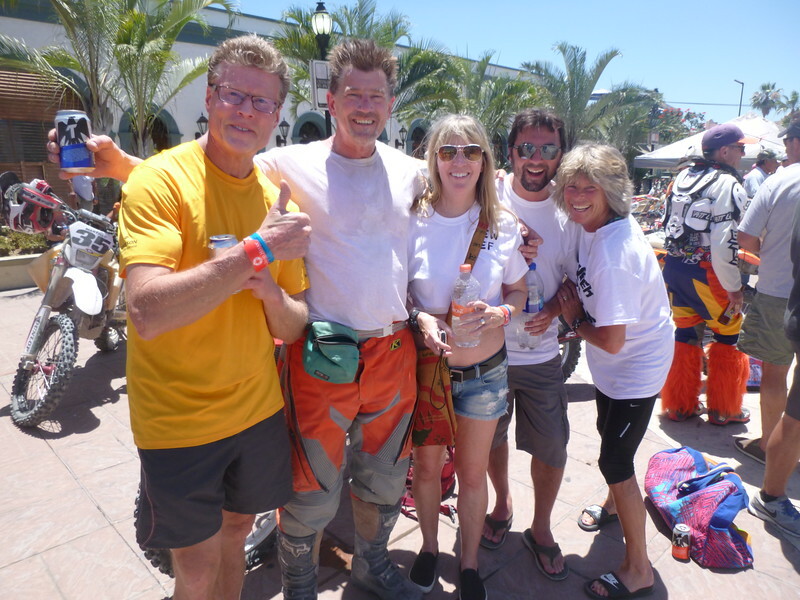 Day-5: La Paz to Cabo! I am not sure where the start is, Hipster told me it was where the finish was last night, but no. I do a U-turn and blast up the malecon. I see the orange NORRA arch, and Chilly on the 76. All good. JD and John are stoked. The Triumph is leaking oil, a quart every 100 miles is the word. The rider gets out his tools and cranks on the cylinder head bolts. This section starts with rocky steep hill climbs with narrow dangerous ledges. I love using the roadbook because of these warnings. Everything bad I color coded for a quick heads-up. I can see colors coming up from the bottom, so I try to keep my next turn marker at the very top. Soon the course is fast dirt roads down the east coast, fantastic. 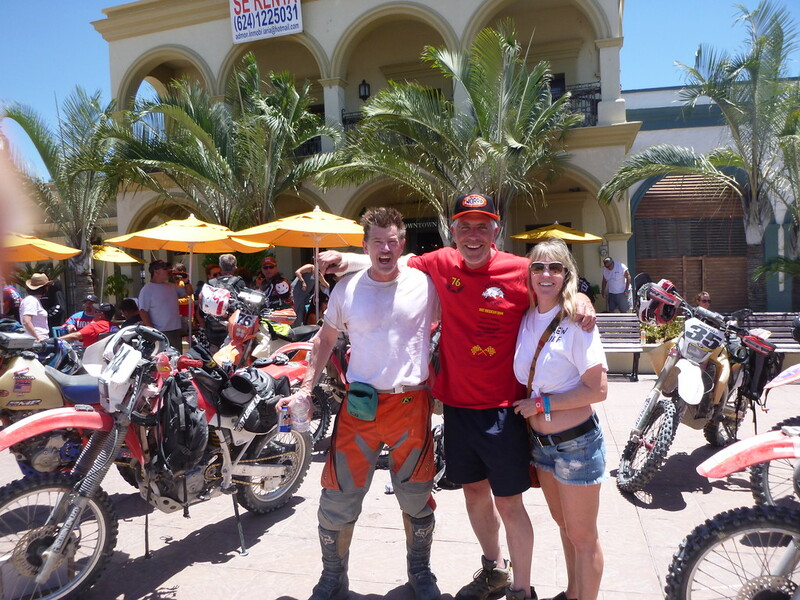 I pass the transit zone in Los Barriles where Heidi and I watched the race last year. I know what’s coming next, more fast dirt roads along the coast. Getting close to Los Cabos turns into long stretches of medium deep silt tracks. I knew what not to do in silt from day-4, so I just keep steady on the throttle and keep steady power, all is good. Some local spectators help guide me onto the right course and others point to bad hazards. Fantastic more and more. The crowds are getting thicker but the trail keeps going and going. Boom! 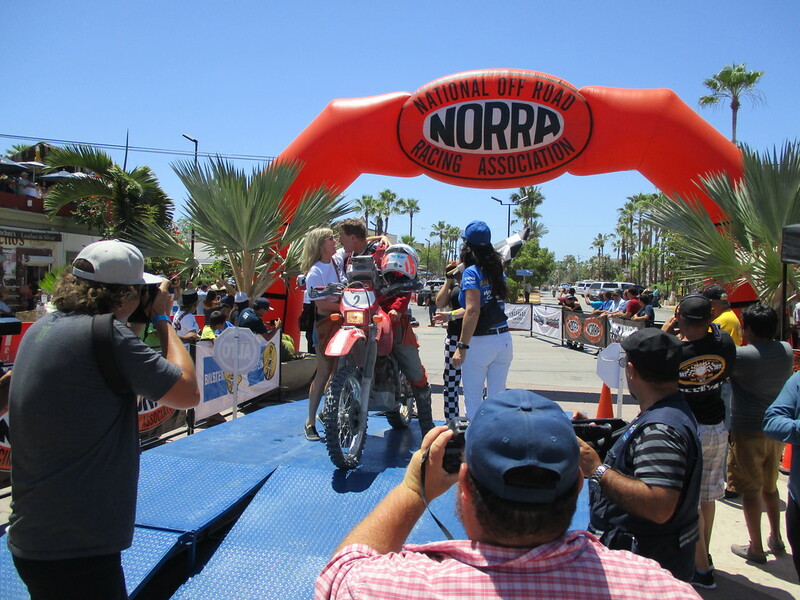 All of a sudden San Jose del Cabo, the finish line. Wow! Tom (Hipster), myself, Heidi (cavegirl), nephew Vince and my sister Cassie. What an atomic greeting party, this is incredible. This is the best location for a finish line ever, right in the heart of town where traffic is diverted to all but racers. Everyone is here. The story telling expounds, everywhere people are talking and smiling. 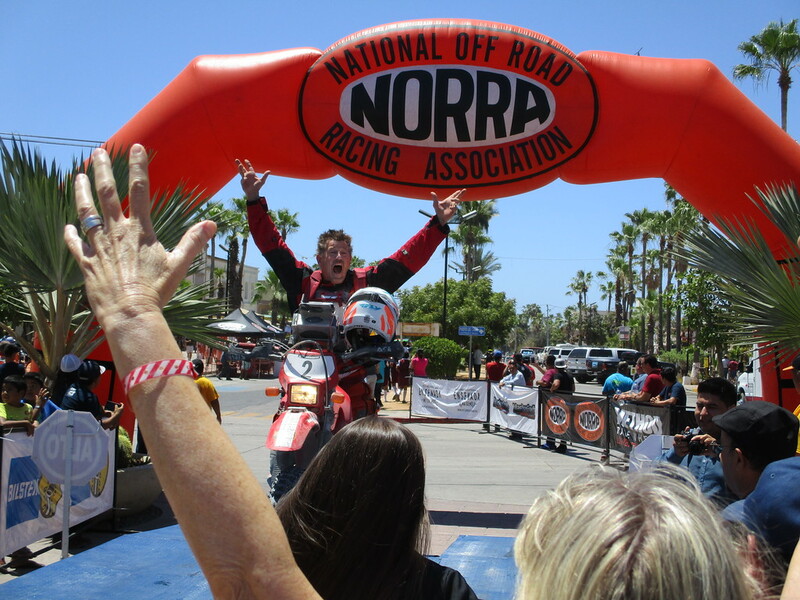 The 2017 NORRA Mexican 1000 - in the books. These trucks and buggies are the coolest things. The mood here is insane. Cowbell Racing. My sister goes nuts with her cowbell when she sees the Wounded Vets Racing team. We fully support the vets. The Racing Vets! These guys are great. I knew these guys were out there, somewhere. We have a table right infront of Mollie's, in the center of it all. I hope all the pics are OK, I can't get enough of this stuff!